We would like to notice the 5th official update of PRIME2, PART 1(1.08.0) version. 2. Please download PRIME2 v1.08.0 update patch file, and then save it on the root of your USB. 1. For updates, you can use normal USB you have(Some USBs might be incompatible). 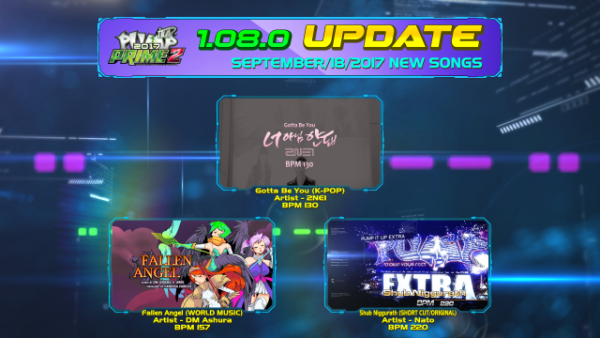 There is big scale of update for Double performance step of PRIME songs. We deeply appreciate for the people provided the steps for it.